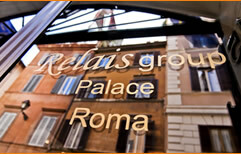 Welcome to the official website of the Relais Group Palace Hotel Rome! The Relais Group Palace Hotel is a 4 star luxury hotel in the center of Rome amidst the most famous tourist attractions and in one of the most historic and famous areas of central Rome. Completely brand new and with no expense spared to make the hotel the most comfortable for our guests, the Relais Group Palace Hotel is a four star hotel in the very heart of Rome near most of the major tourist locations. The Relais Group Palace Hotel is also only a short walk from the vibrant Campo di Fiori and also Piazza Navona which seems to spill life into it's side-streets and down which one can find the Church of St Louis of France, home to arguably the finest works of Caravaggio, and only a short distance from the wonderful and ancient dome of the Pantheon. A few more minutes, and guests can then stroll through the typical Italian streets and avenues to the breathtaking Trevi Fountain (particularly beautiful and romantic at night) and throw a coin into the water to ensure you return to this wonderful city. After a hard day's sight seeing, where guests are almost overloaded with beauty and culture, you need to be able to retreat to a place that offers relaxation and comfort. If you are a guest at The Relais Group Palace Hotel, then fear not, you are perfectly situated to relax and enjoy every comfort and luxury that this 4 star high quality hotel has to offer. 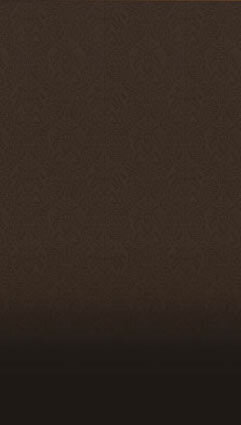 Each of it's 30 guest rooms are luxuriously decorated and furnished in rich fabrics and colours that convey an environment of timeless opulence and comfort. 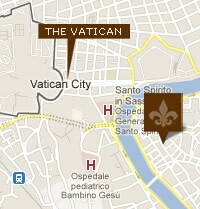 Nestled in one of the most popular and historic areas of Rome, the Relais Group Palace Hotel is ideally placed for guests to see the most famous sights that Rome has to offer. In a matter of minutes, guests can walk to the impressive rotund papal castle of Castel Sant'Angelo along the bridge adorned with statues from the master-sculptor Bernini, and from there continue on to the magnificent Basilica of St Peter - home to breathtaking artistic masterpieces such as Michelangelo's 'Pieta' and reminders of the longevity of Rome and the Catholic Church. The Vatican Museums are also just a stones throw from this spot where guests can marvel again at the works of Michelangelo, but now at the world renowned frescoes of the Sistine Chapel. Whatever your reason for visiting Rome, guests will find at The Relais Group Palace Hotel a high level of comfort and convenience in one of the most beautiful cities on the planet.